When you contact Gold Coast Energy, you’ll be amazed at the personalized service you will receive. 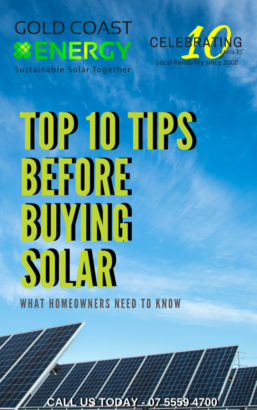 Our friendly team will be able to answer any burning questions you have regarding solar. If we can’t answer your question immediately, we will work tirelessly to ensure its answered in a timely manner. We almost always have a solar technician within arms reach so can be prompt with your call. We won’t be left satisfied until we know you’re 100% happy and have had every issue addressed comprehensively. If you have a query outside of office hours, please submit your message here or leave a voice message on our office number and one of our friendly experienced team members will attend to you the next working day.